Large Family Groups. These are big but worth the download. Maybe someone can help identify some of the unknowns? MARTIN Family Reunion, Fayette County, Ohio. This photo was taken probably before 1881 in Fayette Co, OH. John and Mary Ann BARNHART MARTIN are seated, Center. James B. MARTIN is standing just behind his brother David MARTIN. David MARTIN married Huldah PAUL, also marked here. 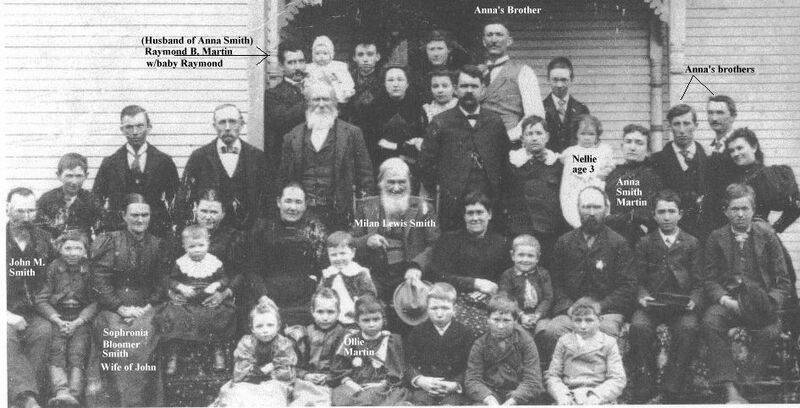 James B. MARTIN married Anna SMITH and she does not appear in this photo (so I assume they had not married yet). Thanks to the descendants of David MARTIN for sharing this photo with us. Raymond MARTIN, and son, Jack (my dad) and standing far left. 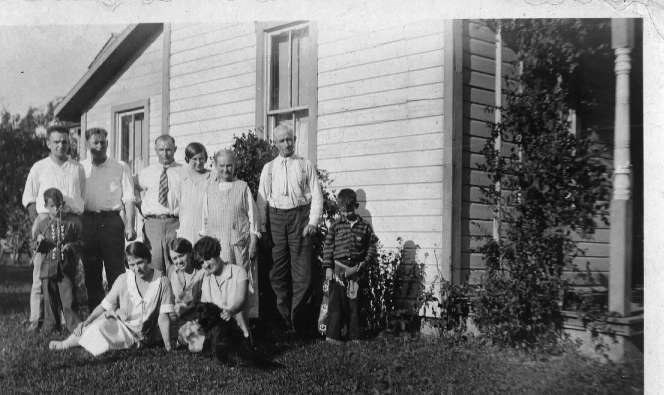 Raymond married Corrinne Frances EVANS, seated - petting the dog. 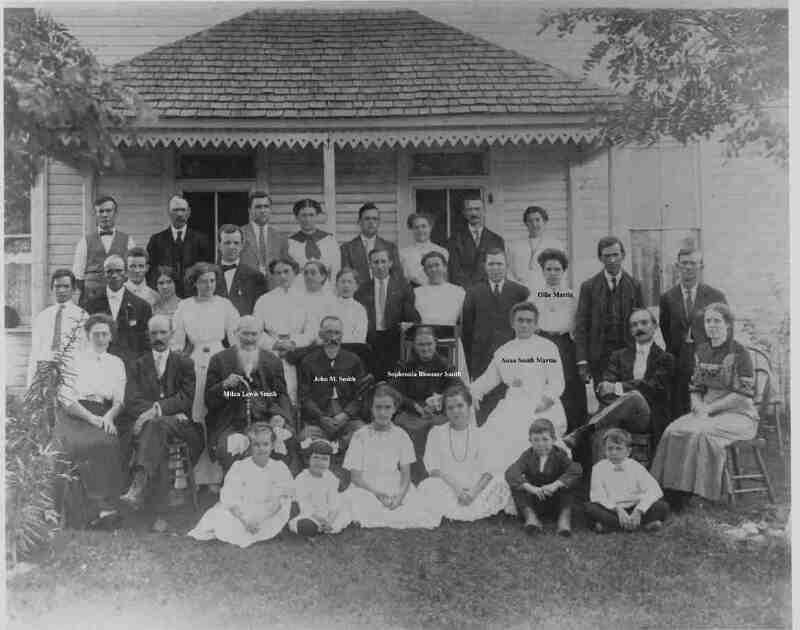 "Uncle Charley" (Charles EVANS, son of Leoy & Clella EVANS) is the older gentleman standing on the right. I believe the woman to his left may be his mother, Clella EVANS. This others I'm not sure of....does any one recognize someone here? If so, please e-mail me: whittyfun@juno.com.